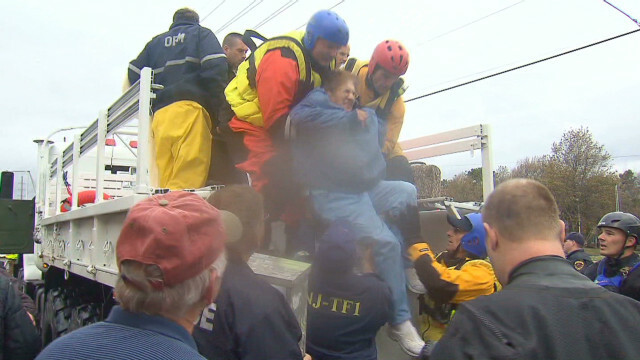 CNN’s Michael Holmes (@holmescnn) reports from the hard-hit town of Toms River, New Jersey. “I’ve never seen it before. We actually watched dunes get wiped out, and watched the ocean come right down the street. Pretty soon it went from a couple inches high to three feet to four feet, and pretty soon it was impassable, ” says patrolman Steve Russell. Watch Holmes’ earlier reports from Toms River here and here.